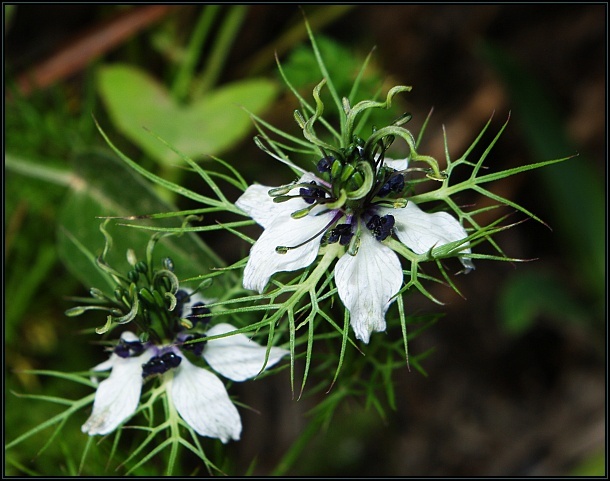 Nigella damascena is an annual plant, frequently encountered in steppes and disturbed ground. The leaves are finely divided and abundant. The flowers are unusual in shape with erect styles in the centre. 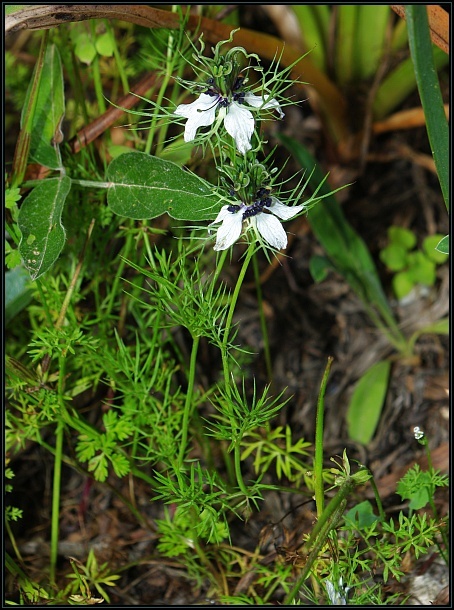 The flowers are generally white with a bluish tint. The wild plant is native to South Europe, North Africa to the Middle East and Asia.